The year: 2051. The place: NeoLondon. I emerge from my Sl33pPod and blink, disorientated in a halogen haze. Hopping onboard an automated BozBike I navigate the glittering zero-g spires and head to the gently pulsing TwitterPleX. I've been looking forward to tonight - this is Kanye West's big comeback tour - his first in years. 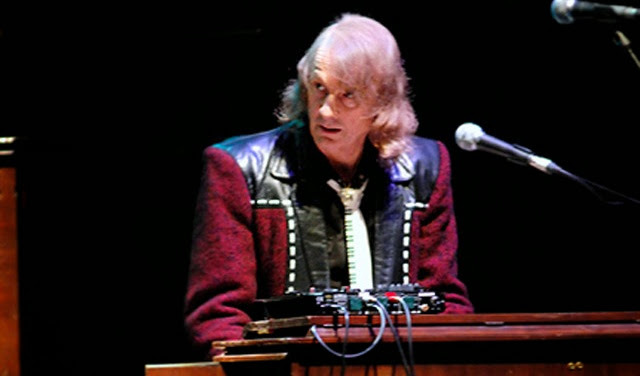 Sure at 74, his flow isn't quite as slick as it once was, the autotune is being worked to an even more ridiculous degree, he's put on a bit oworkef weight and lost a bit of hair. But dammit, this is Kanye West, father of President North West, Nobel Prize winner and the first artist to perform on the surface of Mars! With some annoyance I note that the TwitterPleX is only two-thirds full, entire rows empty - "what is wrong with people that a gig like this hasn't sold out?" Kanye takes to the stage to a smattering of applause, launching straight into POWER. I'm fondly remembering the time I lay in sunny London Fields surrounded by lost friends listening to this on an iPod dock. But my reverie is soon distracted by some punk kids a few rows away. "Fella! Vine tha' corpse quinty shavebox!" I don't quite understand their futureslang but just the tone of their voice tells me they're making fun of Kanye. Making fun of Kanye?! My heart sinks, and in a crowded room I suddenly feel very old and alone. So what the hell does any of that have to do with Mott the Hoople? Well on Friday night Mott the Hoople was that 74 year-old Kanye, and the guy making fun of the dinosaur on stage is me. Mott the Hoople were rocking back in the early 1970s, long-hair swaying in the Kodachrome breeze as their one bona fide all-time classic All the Young Dudes (penned by David Bowie) sang from radios. After this brief flash of success album sales declined, and the band broke up in 1976, the members reforming into other bands with limited success. In 2009 they reformed and played 5 rapturously received nights in the Hammersmith Apollo. Now, once again they're back, this time in the biggest stadium in the country. The first thing you notice is that the place isn't exactly full. I have an entire row of seats to myself and though filling two-thirds of the o2 is nothing to sniff at, there's a sense that perhaps Mott the Hoople have over-estimated their popularity. The audience is made of bald or balding middle-aged men in dodgy leather jackets, guts shyly peeking over tightly belted blue denim. They call themselves 'Hooplites', which to be fair is pretty clever. In its own way the band and crowd are on the same page; both used to be with it. Then they changed what "it" was. Now, what they're with isn't it, and what's "it" is weird and scary. What Mott the Hoople play and how they play it isn't particularly important. The audience's mind isn't on the stage or the sound; it's on their own lost youth. 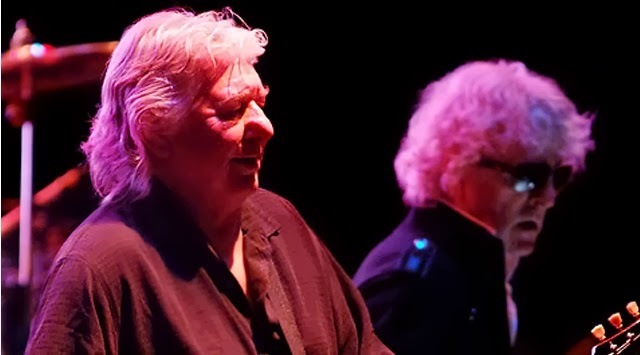 As the band launch through another song big in 1972 the crowd plaintively remembers the first time they touched a girl's chest, smoking dope in the back of a friend's van and getting yelled at for growing their hair long. For this crowd seeing Mott the Hoople is an affirmation of lost youth, a proof that you were once cool, young and vibrant before the anvil of age, family and responsibility crushed you flat. On the other hand to anyone not young in the 1970s, you're watching five old guys you don't know sleepwalking through music most accurately described as dad-rock. The first five or so songs are identikit plodders, the kind of music you'd expect to find on compilations titled things like 'The Best Truckin' Songs in the World... Ever'. 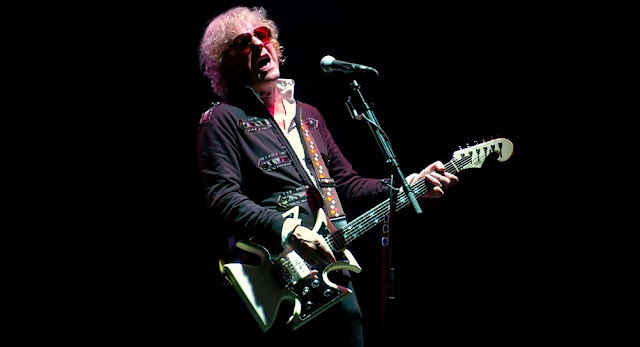 Compounding this drudgery is that lead singer Ian Hunter's precise impression of Bob Dylan's vocal technique. Unfortunately that's 2013 Dylan, so blasting through the giant amps of the o2 is a rasping, strangled yelp - songs sounding like they're being sung by a poorly maintained Vespa. My heart sank as I realised I was in for two hours of this. For most of the first hour the only movement of note in the crowd was dribs and drabs of people making their way to the exits. It's difficult to get into a rock and roll spirit when people are leaving in droves, apparently preferring quiet public transport and an early bed to the show. This exodus was a shame, because to be fair things did get a bit better towards the end. The welcome addition of backup singers softened the sound on stage, and some piano-led numbers added some desperately needed variety. I wouldn't exactly say I started enjoying the gig, but I certainly stopped not-enjoying the gig. Still, when they launched into the opening bars of All the Young Dudes there was a palpable sigh of relief as the we realised that this must herald the final moments of the gig. And you know what - All the Young Dudes was fun to listen to - though it's telling that a song written by David Bowie was head and shoulders above all their other material. There's a sense of weariness that extends throughout the show, from the desultory audience interaction to a largely ossified band to the late 90s looking CG video displays and, unfortunately, right through the audience. As a memory trip this is probably great; a way to remember the time when you strutted atop the world, when pretty girls loved you and 'the man' was there to be fucked. Now you're what the cool kids despise and rebel against. And the most depressing thing? It'll happen to me too! See you at Kanye West in 2051 folks!